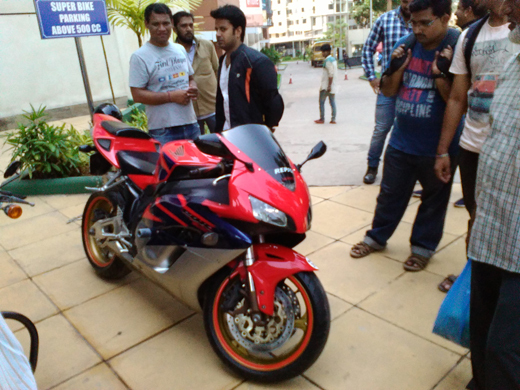 Mangaluru, Mar 26, 2016: On Friday March 25, Police commissioner of Mangaluru M Chandra Sekar flagged off unique ’Heels on Wheels’ women’s bike rally at Forum Fiza Mall, Pandeshwar. 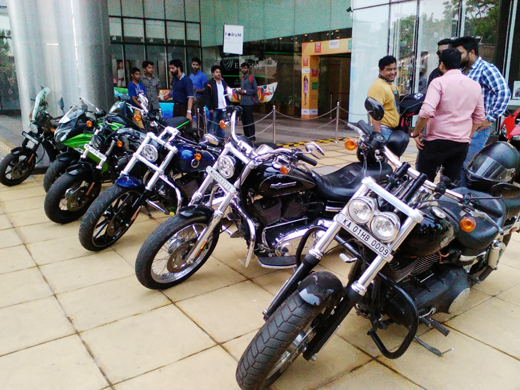 At least 40 women participated in the rally, ’Liberating the woman of today’ was the theme, the total focus was on safety and security on the road and business acumen of women all in all a revolution.The event was jointly organised by ’Mangaluru Bikerni’ in association with team Zero Gravity and other like-minded organizations. 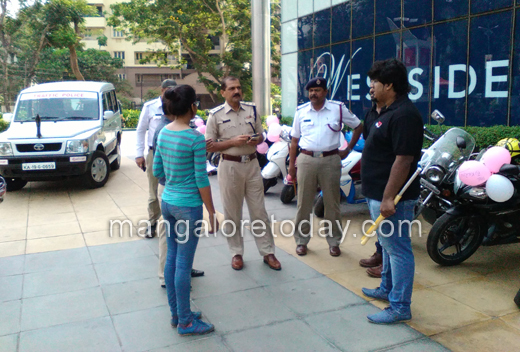 Speaking to the gathering before flagging off the rally Police commissioner of Mangaluru M Chandra Sekar said, "Freedom of women is vital, side by side need to create awareness on safety and the importance of traffic rules and regulations. Youngsters who go to college on bikes without helmets are foolish to consider them selves heroes and brave with a view to show off that helmets are unnecessary. Even a minor accident can cripple for life, we see how life can be lost in a fraction of a second. College students please wear helmets, keep speed limits and be safe." Preethi Uchila said that this rally was to show that that men and women must are equal partners here should not be any complexes for both. 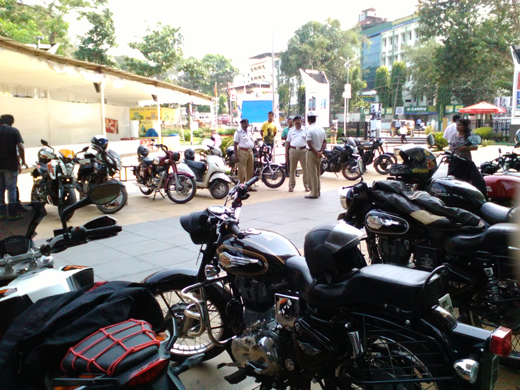 A cross section of women from all walks of life participated in this unique bike rally, their independence while breaking traditional gender stereotypes, with an aim to spread awareness on equality and liberation while also emphasizing on road safety and other norms was the target. Here, women were riding all types of heavy bikes which are generally used by men. 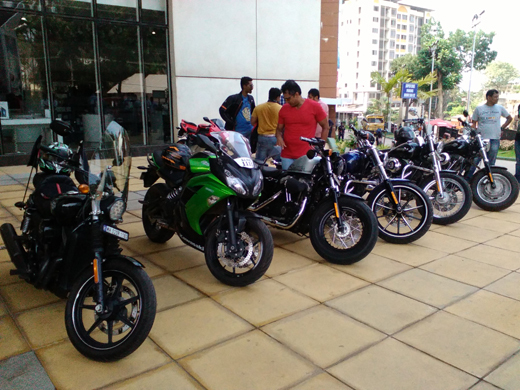 The bike rally began at Forum Mall and ended at the same place after passing via Jyothi, Lower Bendore, Nanthoor, Bejai and PVS. Traffic ACP Uday Nayak, inspector Dinkar Shetty from Pandeshwar police station were also present along with a large number of participating enthisiasts. Its beautiful to see woman riding the bikes. The main thing before driving a vehicle is safety and follow the traffic rules. Message conveyed to the public in a better way . Hope the public understand the importance of the rally. Of course both are equal and its good that woman take it as a challenge. Simultaneously we have to give attention towards safety too.